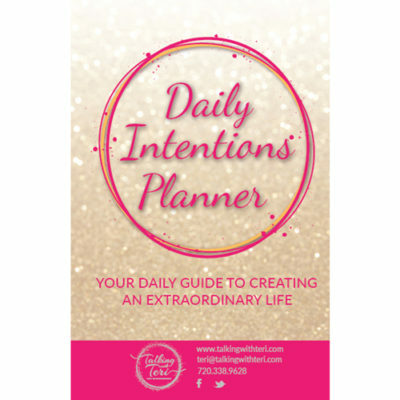 Buy 3 Daily Intention Planners, get your 4th for free! 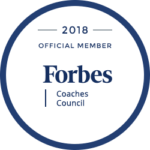 Stock up for one year’s worth of intention planning. 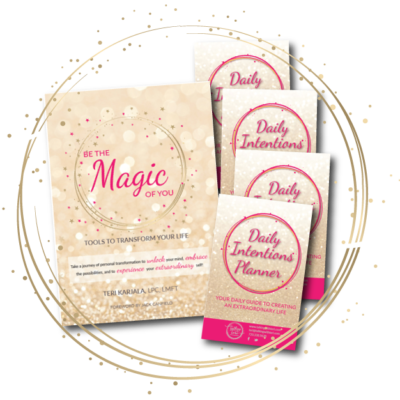 This planner was designed to give you clarity, organization, and structure on your journey towards creating an extraordinary life. 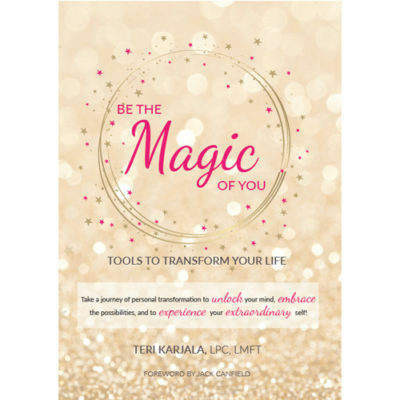 The perfect compliment to Teri’s book, Be the Magic of You, this planner also works just as well on its own. 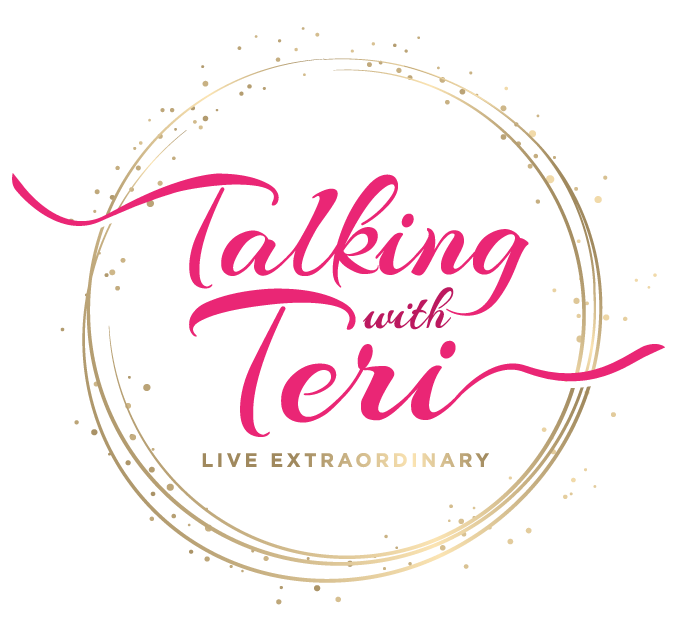 Disclaimer: Teri tends to follow some of the laws of the universe, therefore this will have “that feel” to it. With the guidance of this planner, you’ll set goals in alignment with your vision of what an extraordinary life looks like, and then, week by week, you’ll track the progress you’re making on your quest to reach those goals. 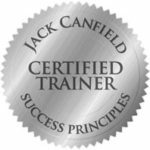 Along the way, you’ll reward yourself for being amazing, and begin to gain cognizance of real results manifesting in your day to day life. 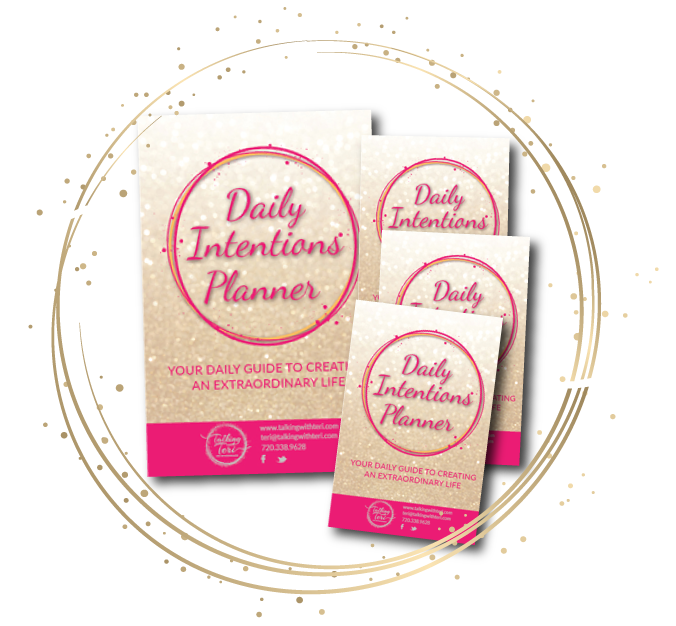 This planner is a great way to hold yourself accountable for making steady progress towards realizing your goals and building the extraordinary life you deserve.